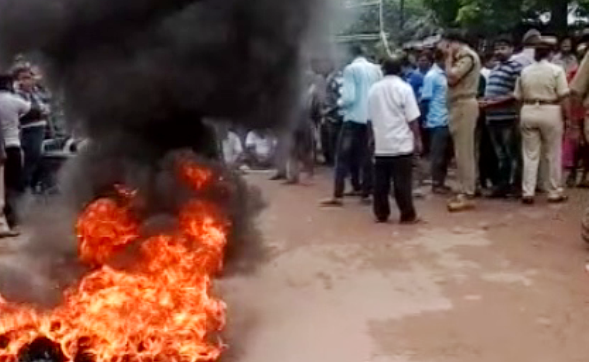 ONI Bureau: The district administration today imposed curfew in Kendrapara town following communal clashes between two communities. The prohibitory order will remain in force till tomorrow 8 am, sub-collector Sanjay Kumar Mishra informed. It is to be noted that during bandh, two groups pelted stones at each other near Kali Mandir Chhak in Kendrapara town today. As many as 11 platoons of police force have been deployed at sensitive areas to maintain law and order situation. Earlier today, Kendrapara district administration declared closure of all educational institutions in view of 12-hour bandh call given by Rashtriya Surakhya Samiti, following communal clashes over Netaji Jayanti celebrations.